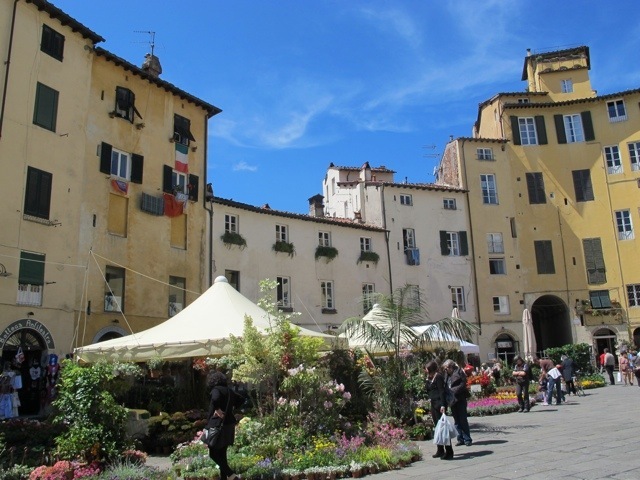 Lucca is one of the loveliest towns in all of Italy, and it is just 25 kilometres from Bagni di Lucca. It is our nearest large town. 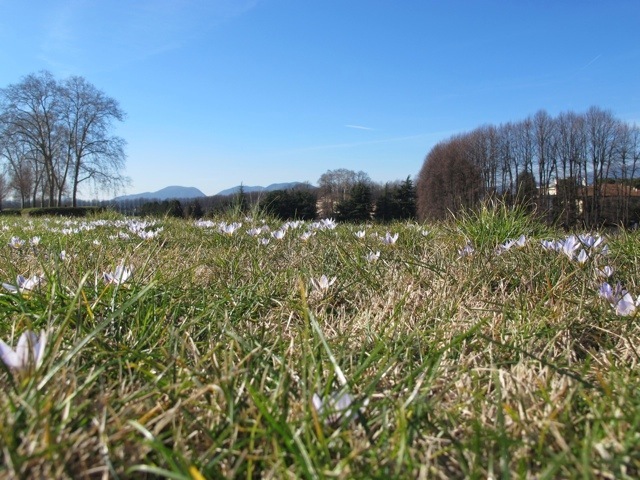 Lucca was founded by the Etruscans and became a Roman colony in 180BC. The rectangular grid system of the roads in the historical centre preserves the original Roman plan. The town is surrounded by a wall which expanded with the growing town. The current configuration dates from the 16th century. 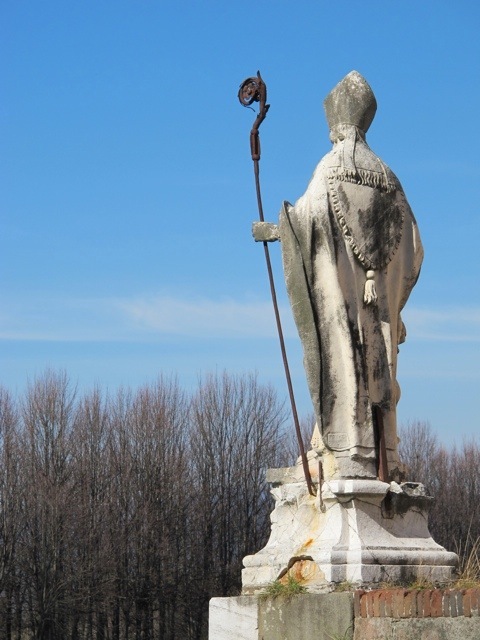 It remains intact and now is the outstanding feature of the town. The wall is 4.2 kilometres around and it is possible to walk or cycle along the top. It is beautiful at any time of the year. 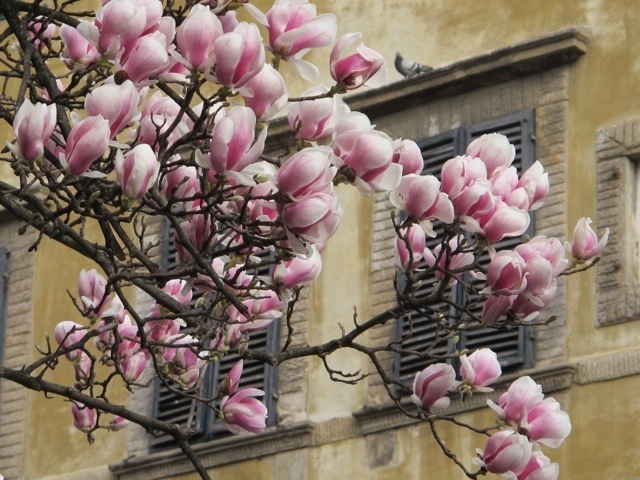 If you are lucky enough to be in Lucca in mid March you will see the beautiful magnolias in bloom in the Corso Garibaldi. 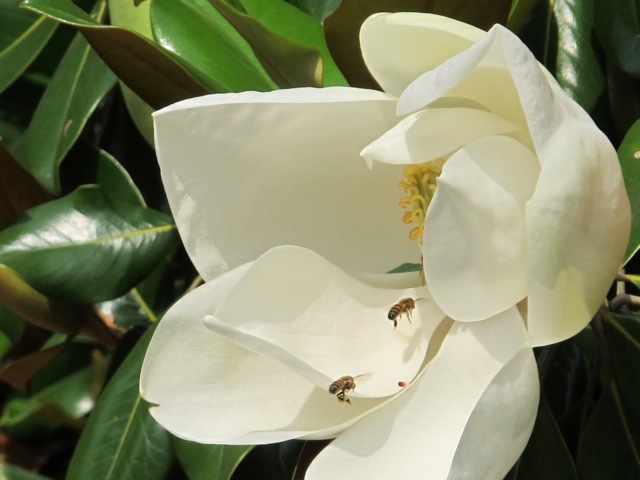 Later in spring the huge white magnolias arrive. 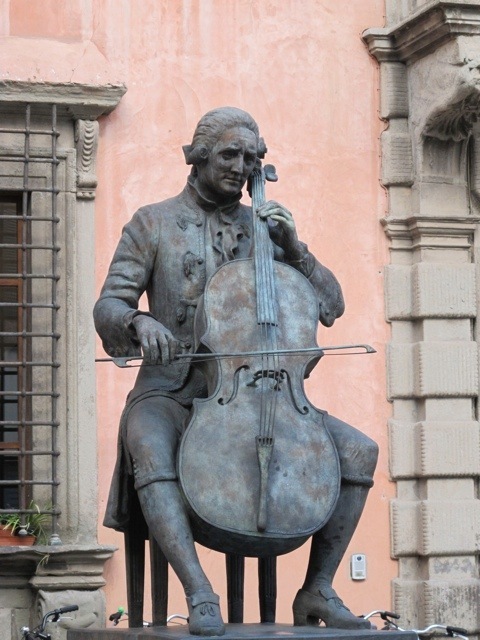 Giacomo Puccini was born in Lucca and there is a long history of music in the town. There are concerts on almost every night and there are several music festivals throughout the year. 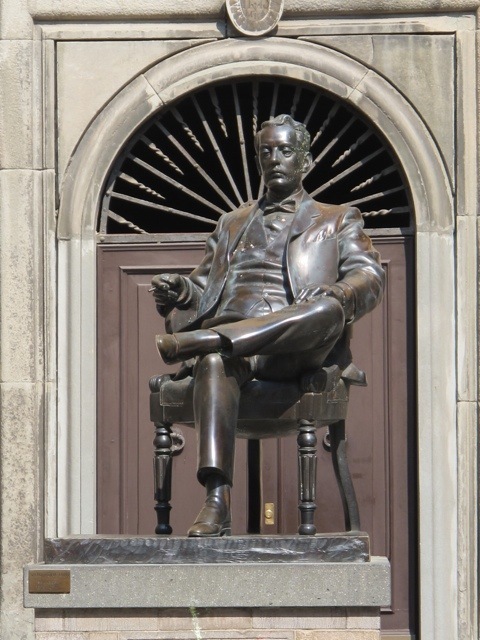 Puccini sits in the Piazza Citadella in front of the house where he was born. It is now open as a museum. 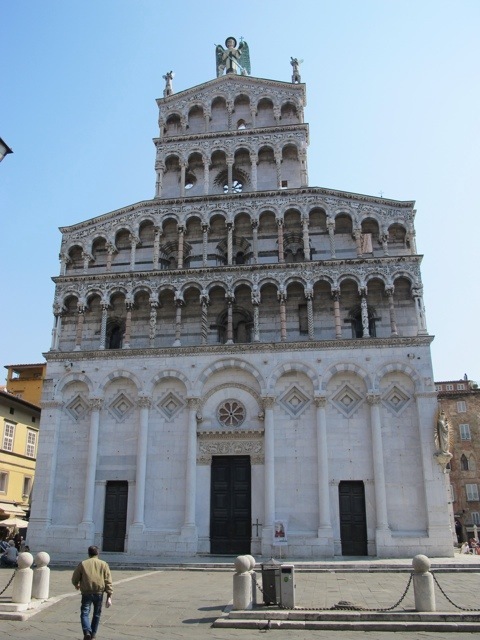 Lucca is a city of churches. At one time there were 100 churches…..quite a lot remain, including the beautiful San Michele on the site of the original Roman forum. The Piazza Anfiteatro was left behind when the amphitheatre that once stood on the site was removed, leaving and oval space surrounded by houses. Now the beautiful space forms a town centre filled with outdoor dining and several festivals throughout the year. 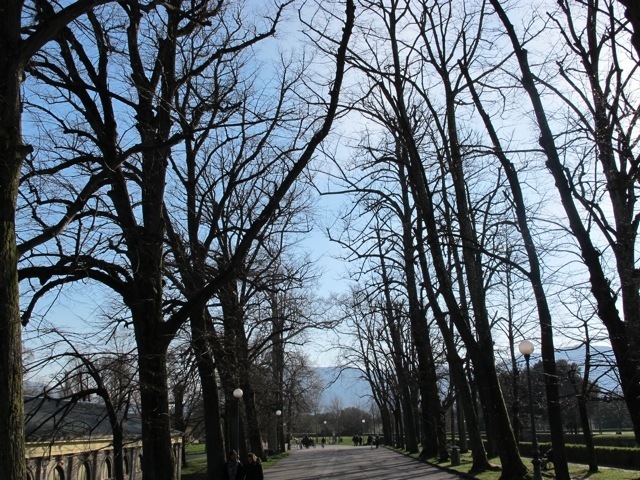 From Bagni di Lucca to Lucca is a pretty 30 minute drive beside the Serchio River on the SS12. It is also possible to take the Lazzi bus which leaves from La Villa and stops at Ponte a Serraglio and Fornoli along the way. The trip takes about 50 minutes to the last stop inside the walls at Piazza Verdi. There is a train from Fornoli which takes about 25 minutes. 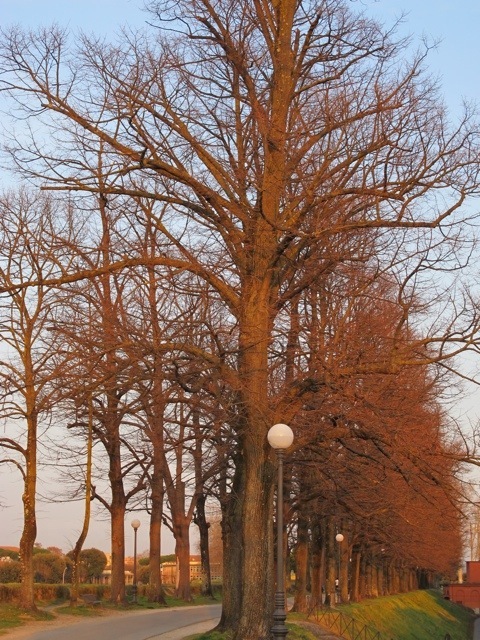 This entry was posted in Nearby towns and villages and tagged Italy, Lucca, photography, travel, Tuscany, walls of Lucca by Debra Kolkka. Bookmark the permalink. Who could resist?!! 😉 You capture Lucca so beautifully and personally Debra. You can just tell how much you love the place. I absolutely love Lucca. I go as often as I can while I am in Italy. I always love to find new surprises and revisit my favourite places. You presented such a lovely tour. Oh, to live in such a beautiful, historic place. This is a really fine post. Thank you. 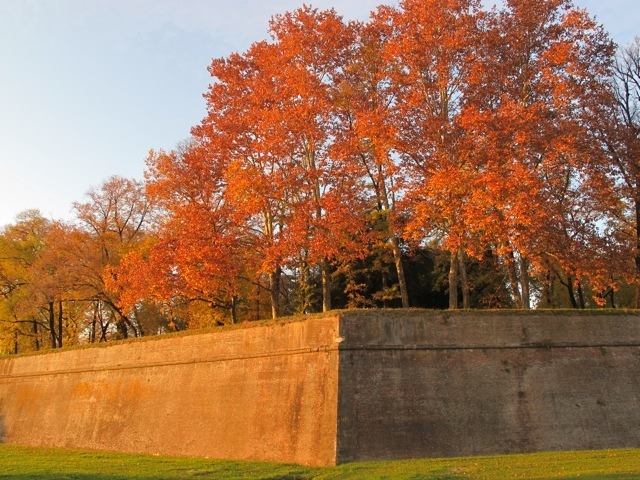 Bagni di Lucca is just a 30 minute drive away from Lucca. I can always find an excuse for a visit. 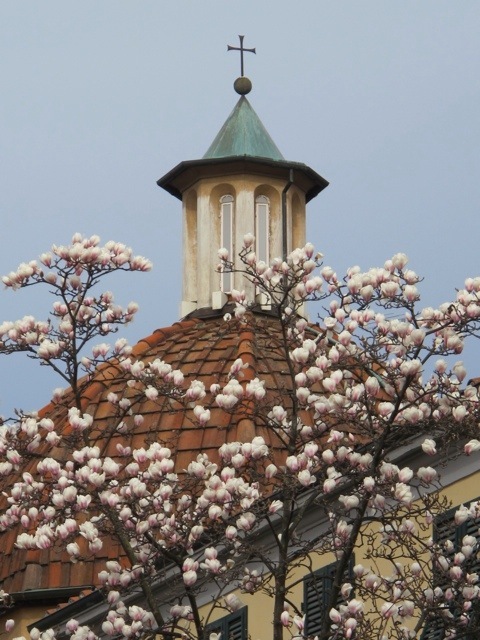 Great overview of this very charming town, I love the autumn trees and magnolia photos. 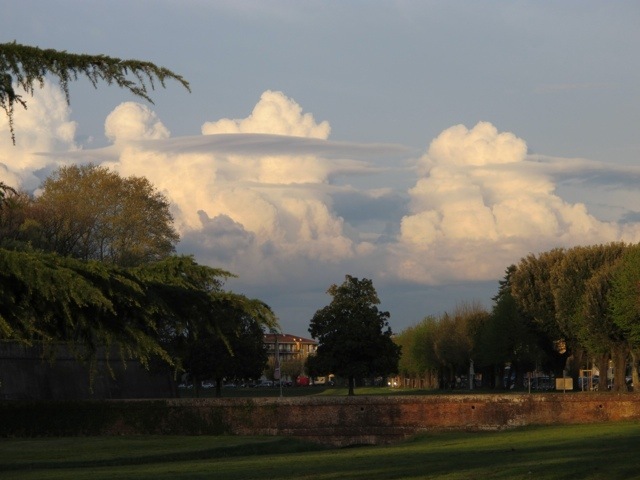 Aren’t we lucky to live so close to lovely Lucca??? 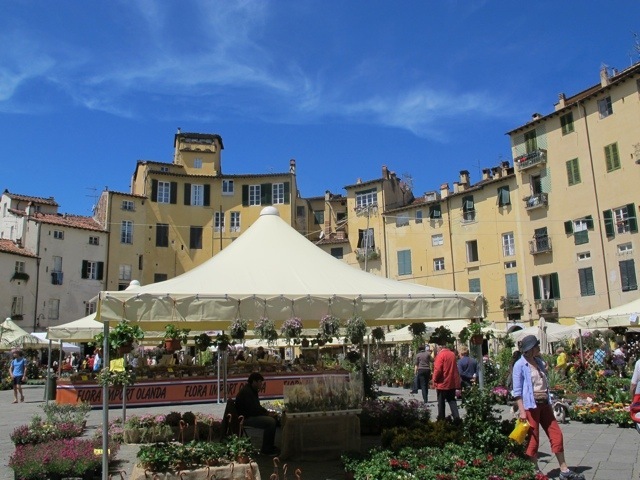 We were there last June and can’t wait to go back, and spend some quality time in Bagni di Lucca as well – thank you for your blog and this post especially! I hope you get back to Lucca and Bagni di Lucca soon. Just as you said, one of the most beautiful cities in the world… and only 25 minutes away from home at Bagni, how lucky we are!!!!! I never tire of Lucca no matter how many times I visit. 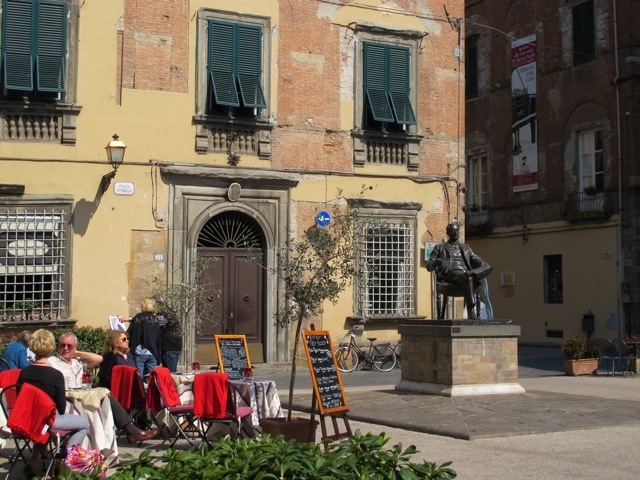 How nice to read about Lucca while we are in your house in Bagni di Lucca! We are here for the second time but we come to Bagni for more than 20 years! Before we rent a house called Il Paretaio at Il colle, up in the hills. For us is coming to Bagni di Lucca like coming home. How nice to hear from you! I hope you enjoy your time in lovely Ponte a Serraglio. I don’t know if you’re realizing how amazing you just posted the pictures of the trees. 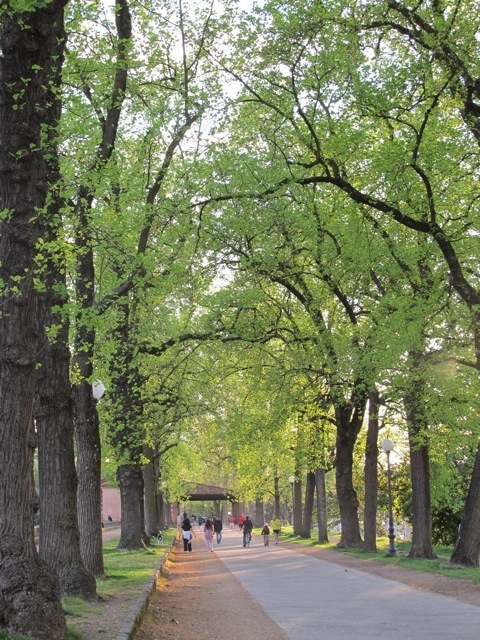 First has trees that are blooming with leaves. The second is almost bald. The next ones are completely leafless. 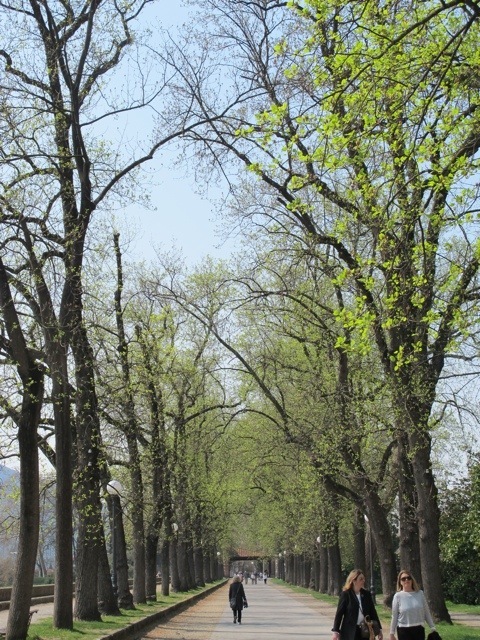 The green ones along the path are very shady while next to that are bushy. 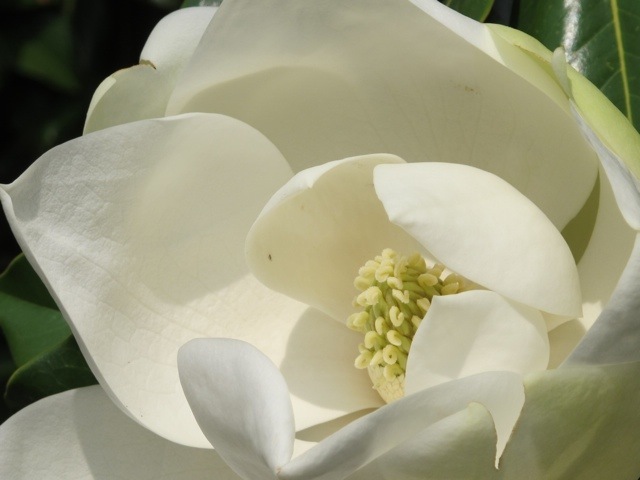 Then, the last ones are pictures of flowery magnolia! All different from each other, and very well sectioned and were posted in a very nice sequence. Thank you! 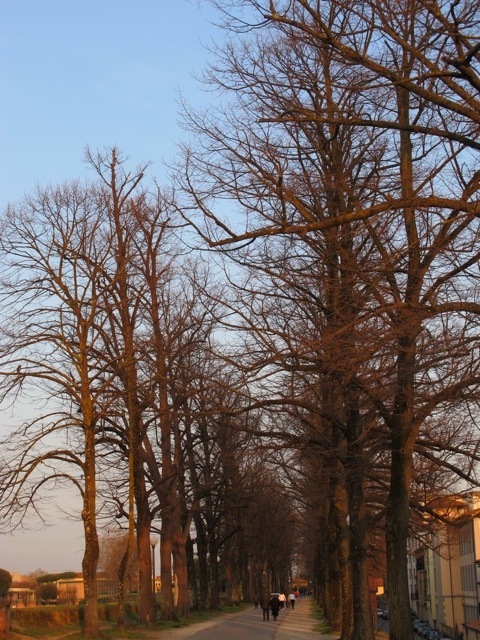 Lucca is so beautiful at any time of the year. I will be back there soon for autumn. 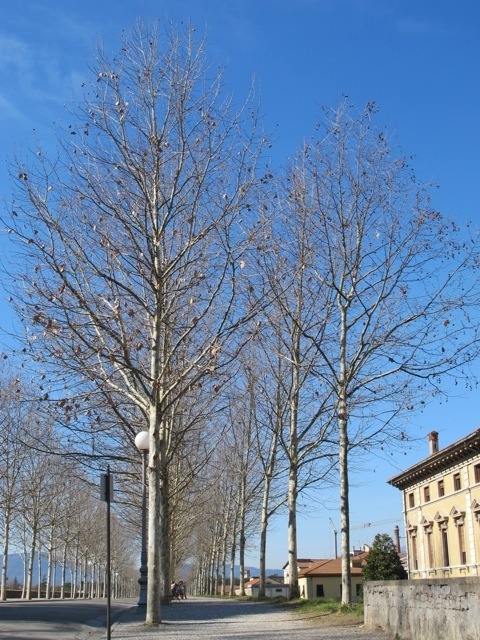 Lucca is only about a 45 minute drive from Vergemoli, making it an easy day trip.